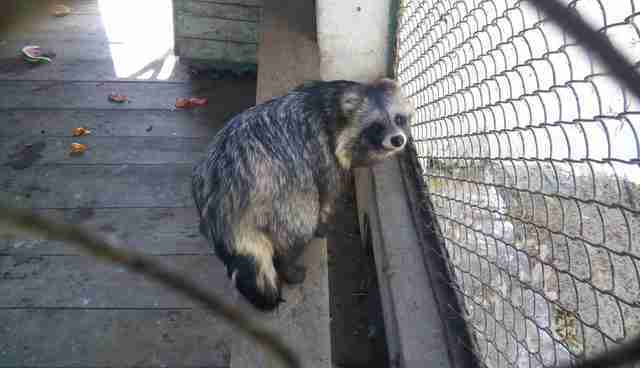 Amid the recent political turmoil in Ukraine, animals at the country's zoos have been hit hard. At the Kherson Zoo on an island in the southern part of the country where temperatures can drop below zero in the winter, 200 animals are hanging on by a thread. 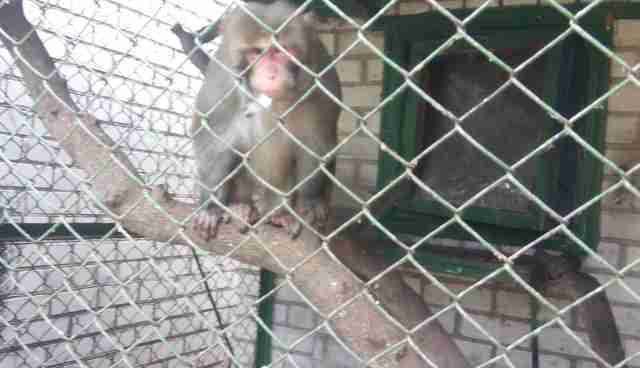 The zoo once belonged to an oligarch, and was abandoned this year leaving the animals to die. Its cages were created during the Soviet era and haven't been updated since. 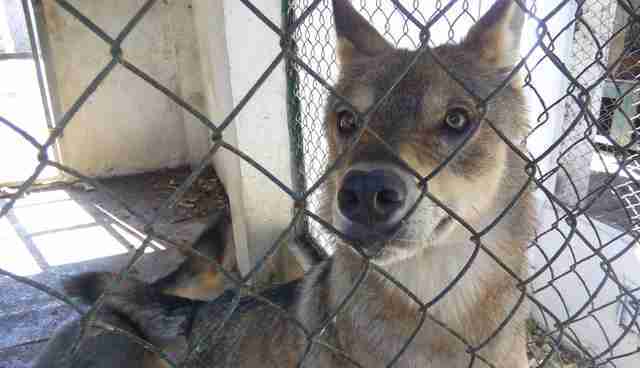 According to sources on the ground, the enclosures are small, bare, impossible to clean and smell terrible. 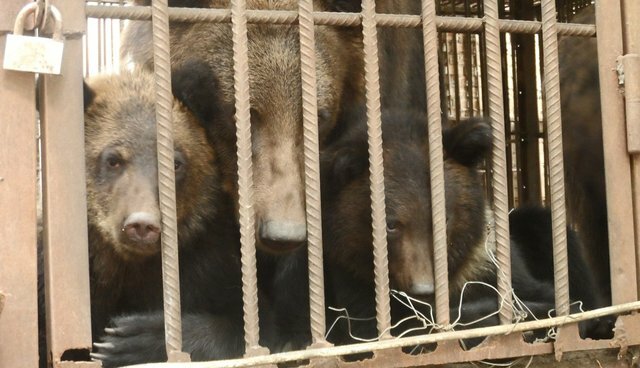 A family of five brown bears, a pack of eight wolves, monkeys and other animals live in the dilapidated enclosures. Now, the animals are relying on aid from volunteers and eating food donated by locals. When Lionel de Lange, a South African expat with Ukrainian citizenship, heard about the problem, he set up a branch of the Lawrence Anthony Earth Organization (LAEO) - the same organization that helped zoo animals at the battered Baghdad Zoo. We wish to create a sanctuary for these animals where they can live in humane conditions and experience some quality of life while helping educate the public on how to better live side by side with all life on earth. He plans to overhaul and expand the bear and wolf enclosures - but because the zoo is located on an island with little access, every update is difficult. De Lange is asking people to donate money to feed and house the animals here. The team is hoping to renovate the enclosures soon, because Ukrainian winter will bring snow and strong gusts to the animals' open-air enclosures.